Before Lee Child’s Killing Floor, Jack Reacher’s unfinished business leads to murder in Tampa. FBI Agents Kim Otto and Carlos Gaspar track Reacher’s past in Tampa where they team up with Judge Willa Carson, investigative journalist Jessica Kimball, and attorney Jennifer Lane. When Retired Army Colonel Thomas Weston returns to MacDill Air Force Base for a public event after sixteen years, he’s an easy target for his enemies, including Jack Reacher. 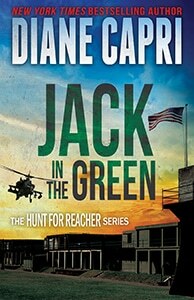 The Hunt for Justice and the Hunt for Jack Reacher collide in this long-awaited follow up to Get Back Jack.